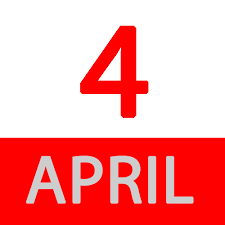 In the pages of history, April 4 is recorded for many important things, including the murder of Martin Luther King, the birth of Indian actress Parvin Bobby. 1818: US Congress approves ’13 red and white strips and 20 stars’ in the national flag. 1889: Famous Hindi poet, writer, playwright and journalist Makhanlal Chaturvedi was born on 4th April 1889 in Madhya Pradesh. 1905: 20000 people died in the earthquake in Kangra valley. 1949: India’s famous Bollywood actress Parveen Bobby was born in Junagadh in Gujarat. 1979: Former Pakistan Prime Minister Zulfiqar Ali Bhutto was sentenced to death It was opposed worldwide but no opposition was heard in the leadership of General Zia-ul-Haq. 1968: US human rights activist Martin Luther King was murdered. After his death, riots took place in several US cities, but the situation was restored with the deployment of the police.